CBS46 relieved chief meteorologist Paul Ossmann of his duties suddenly and without explanation Monday. “We are unable to comment on personnel matters per policy,” said his former boss Steve Doerr. Ossmann started in Atlanta at WAGA-TV in 1988 and helped launch “Good Day Atlanta” with the late Amanda Davis in the early 1990s. He was the long-time 11Alive chief meteorologist before being dismissed in 2011 after 13 years. At the time, he filed for bankruptcy protection, gave up his $900,000 Alpharetta home to foreclosure and saw his marriage fall apart. "When my life came crashing down," Ossmann said in 2017, "all you have is yourself and your work ethic and reputation... There are certain checks and balances that happen in life. I had a big one in 2011... I just made it clear to myself that opportunities are available. Just be ready for them. Don't ask questions. Don't ask why. Be prepared." At the time, he said he stayed humble and didn’t lobby for the chief meteorologist job: "I knew I had more in the tank. I'm glad that things worked out the way they did." Ossmann declined to comment about his departure. Hi everyone it's Paul's social media team. As you may of heard, Monday was Paul's last day at CBS46. He's fine, thank you everyone for your kind notes and emails. Paul is going to be taking some time offline as he moves ahead with other projects he works on and will continue to post here with your local forecast discussions. I found out CBS46 staff had access to his site and had posted all that, calling themselves “Paul’s social media team.” He has no such thing and Ossmann had no input into the above statements. The “Paul Ossmann CBS46” page was taken down Tuesday afternoon and the comments above have disappeared into the Facebook ether. Ossmann now maintains a personal page for friends only. 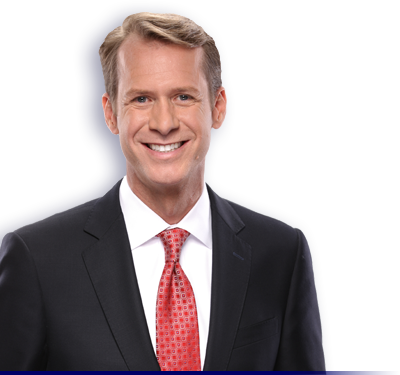 Last December, a local news gossip website called FTVLive posted some notes allegedly passed between evening anchors Sharon Reed and Thomas Roberts, one of which mocked Ossmann. My sources tell me those notes were legitimate but it didn’t appear Reed or Roberts were tangibly punished.